At Phone Bill Casino, not only do we like to keep you up to date with new sites who have added phone bill payment to their deposit methods; we also pride ourselves on bringing our visitors news of brand new casino games. Which is why we’re extremely excited to announce the launch 0f Candy Cash from Pocket Fruity, one of our favourite casinos to cash in phone credit. Candy Cash is revolutionary new mobile slot game from our favourite mobile casino sites. It involves a 9×9 grid and candy symbols but plays like a slot, this brand new Tetris style casino slot game is available exclusively at Pocket Fruity right now! In this extremely unique and revolutionary casino slot, you can pick and mix your way to a sweet Jackpot; as Candy Cash lets you Switch, swap, mix, match and blast your way to success. Candy Cash is ready to turn slot gaming on its head, with a brand new style of colourful gameplay. With every spin you make, 81 symbols will appear on a 9×9 grid; giving you endless chances to cash in. Plus you’ll be playing for one of their biggest ever mega jackpots. As we mentioned earlier, this fabulous new slot has a very Tetris feel to it. So you will need to look out for horizontally or vertically adjacent candies of the same type, as the game pays out when you get 3 or more of these on the grid. It’s entirely possible to get multiple matches in a single spin, where one match can lead to another as the colourful candies cascade down; so there are literally hundreds of ways to win. 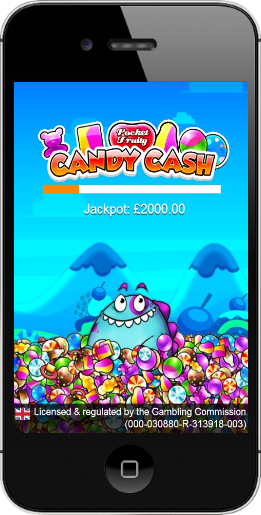 Candy Cash is compatible with all smartphones and tablets; including iOS, Android and Windows devices, and you can even play this amazing new slot online from your PC. If you’re still not sold on this innovative new game, maybe the fact there was a £711k Candy Cash payout not long after it’s launch will change your mind! Despite only being available for around a month, Candy Cash has wasted no time in dishing out big cash prizes. Just in case you didn’t know, Candy Cash is the new and exclusive fusion super-slot game from Pocket Fruity. It’s not hard to see why Candy Cash has quickly become a favourite with Pocket Fruity Players. Having launched the game amidst much excitement on 5th of August, Candy Cash has been instrumental in ensuring almost record breaking pay outs to players for such a short period of time. Pocket Fruity paid out over £72,000 within the first three days of launch, since then a whopping £711,000 has been dished out; with lots of casino goers taking home life changing amounts of cash. 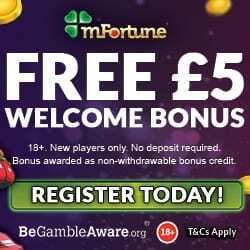 The game has also had reels of fire, having registered over a million spins in just over two days of being made available to Pocket Fruity players. So far the biggest player to benefit from the Candy Cash bonanza took home a sweet pay out of £11,000, from just one session; which was in fact part of a monumental winning streak that bagged them a total of £100,000! This is merely a week after the launch of the game, which Pocket Fruity has calculated a pay out rate of a whopping 95%. So with stats like that the Candy Cash is bound to keep spilling out for everyone who fancies taking it for a spin. 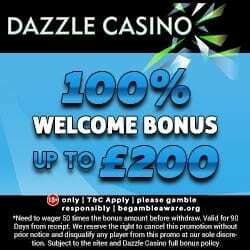 Registering is really easy and takes a matter of minutes, but as well as your £10 credit you will also get a whopping 400% deposit match on your first deposit! Which can be made using Boku mobile carrier billing. Pocket Fruity also dish out 10% cashback every Monday to any players who deposited in the previous week. 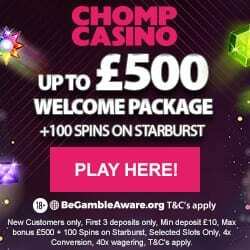 As well as offering popular slots like this one and Jackpot Joyride; as well as casino games like Poker. For a detailed analysis, why not take a look at our Pocket Fruity Review.